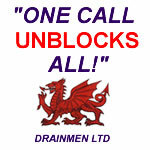 Cardiff Drainage - Drainmen LTD can provide fast and effective drain cleaning services for all customers both private and commercial. This includes Emergency blocked drains and regular maintenance. We can clean both underground drains and high level drains and stacks. 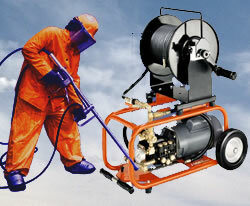 You can also arrange pre-planned drain cleaning maintenance programmes. Drainage maintenance programmes for business cutomers can help avoid costly drain repairs in the future. Drain inspections with our CCTV systems with find problems long before they get out of hand.